Institution for the promotion of the contemporary visual arts established in 1989. 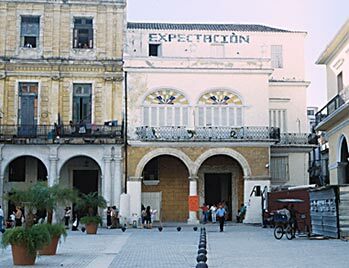 Organizes and coordinates exhibitions of Cuban artists abroad and foreign artists in Cuba. Has four galleries, rooms for theoretical events and an information center. Organizes, among other events, the National Salon for Contemporary Art. The Centro de Desarrollo de las Artes Visuales is a department of the National Council of Visual Arts (Consejo Nacional de las Artes Plásticas) and therefore belongs to the Ministry of Culture.